The Conservatives latest adverts reveal a new strategy which they hope will transform their fortunes. Their plan is to increase their appeal with a younger group of voters by promoting a positive, more tangible policy offering whilst making their brand feel more contemporary. The Conservative Party have released a new set of ads which promote some of their achievements in government. They point to an increase in the amount of money allocated to defence, more pupils in good or outstanding schools and reforms made to personal finance legislation. The ads use full bleed images, which have optimistic colour palettes, a bold sans serif font in caps and a layering effect which gives a sense of movement and dynamism. These are art directional tactics that are in vogue with lifestyle brands which market to the sorts of young (and youngish) people who largely deserted the Conservatives at general election 2017. The policies being promoted in the campaign are also &apos;retail&apos; in nature, in the sense that they explain how government decisions directly impact the lives of individual voters. 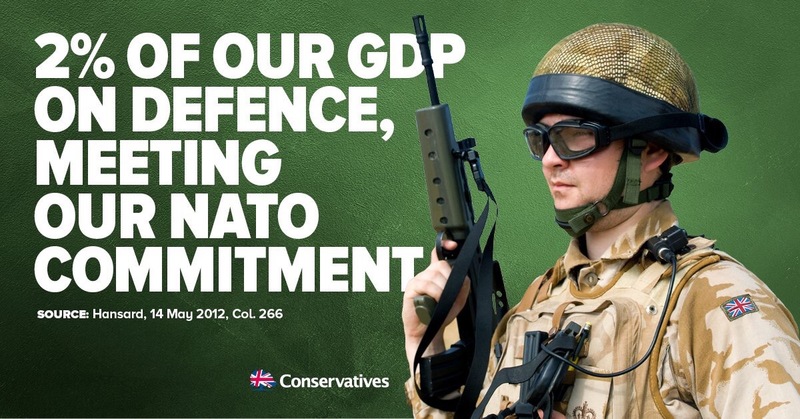 The campaign wash-up at CCHQ must have suggested that two facets of their lack of appeal are: 1) no clear articulation of what a Conservative government would "do for people like me" and 2) a brand that feels out of touch with modern Britain. These ads are a good effort and it&apos;s impressive that the Conservatives seem to have already conducted an analysis as to what went wrong and put in place a strategy to make amends.